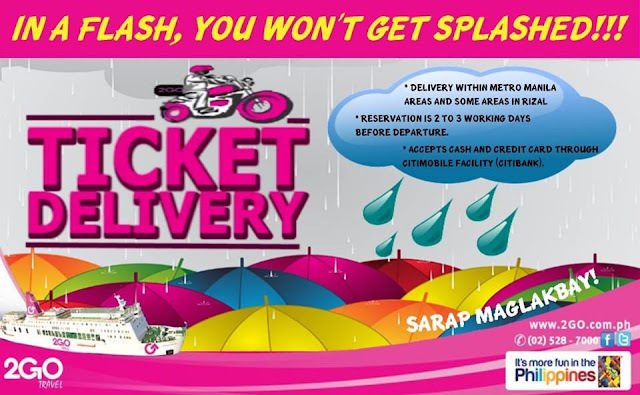 Superferry Promo: Do rainy days give you a hard time buying your 2GO Travel TICKETS??? HASSLE no more!!! How? Call us at (02)528-7000. WHAT? Avail of our ticket delivery service. WHY? because in a FLASH, you wont get SPLASHED!